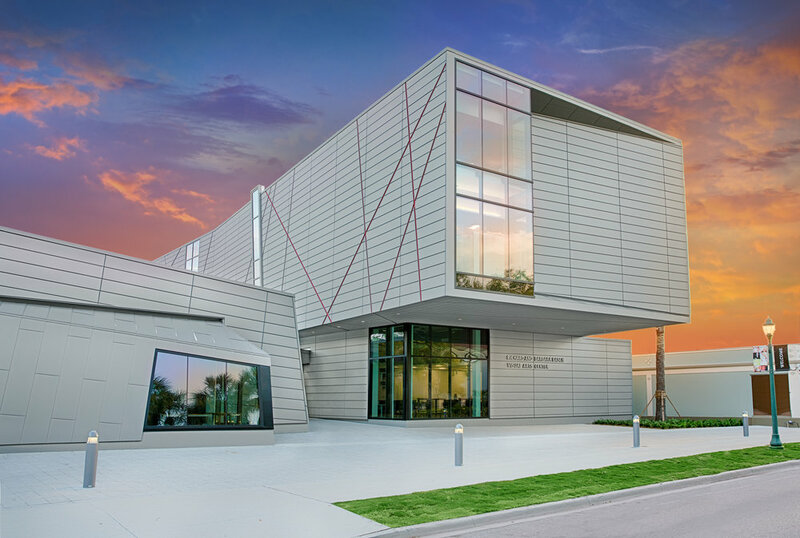 The Project is a 38,500 SF visual arts center for Ringling College of Art and Design. To reinforce the campus urban form and to establish a central north-south pedestrian axis, the design was developed in two separate volumes on each side of a public walkway. Windows on each side of the walk allow students, staff and guests to see art making processes in real time as they move throughout the campus. The east one-story volume houses ceramic and glass art studios which open to a new campus green space on the south. A 3,000 SF art gallery along the north side of the one story building replaces a former college gallery. The sculptural form of the new gallery set close to the street is intended to express the importance of art within the community. 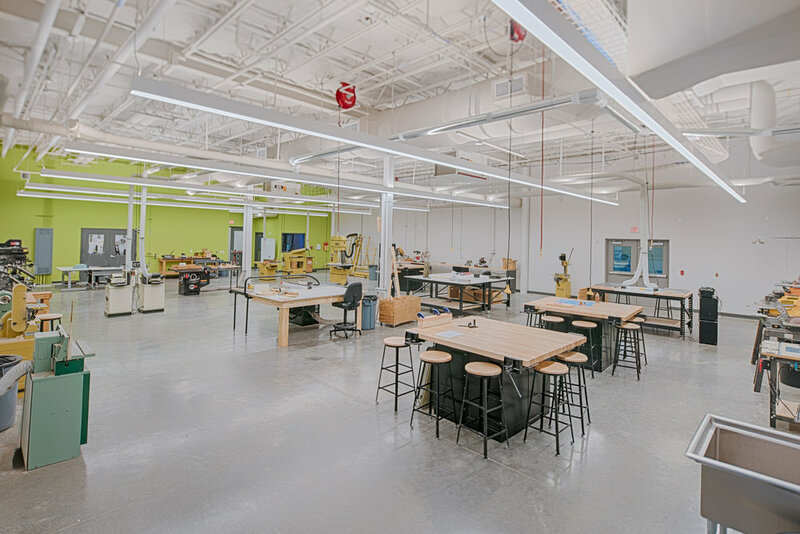 The three story volume to the west contains other fine art studios and six classrooms. It’s cantilevered volume brings the studios directly visible to the street, and also creates a sheltered civic space along Martin Luther King, Jr. Blvd.